Losing a tooth is a magical part of growing up. 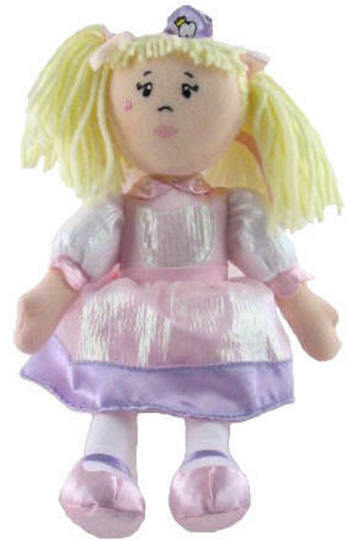 This tooth fairy dolly from Gund comes with a mini story which begins - When your baby tooth starts to wiggle and falls out you can be sure a visit from the tooth fairy is not far away. Before you drift off to sleep, make sure to put your newly lost tooth in a safe place. This dolly is a delightful variation of the traditional tooth fairy pillow. The pocket on dress holds tooth for safe keeping. Tooth fairy story book attached with journal to record age, tooth fairy's magical message, and date of lost tooth.